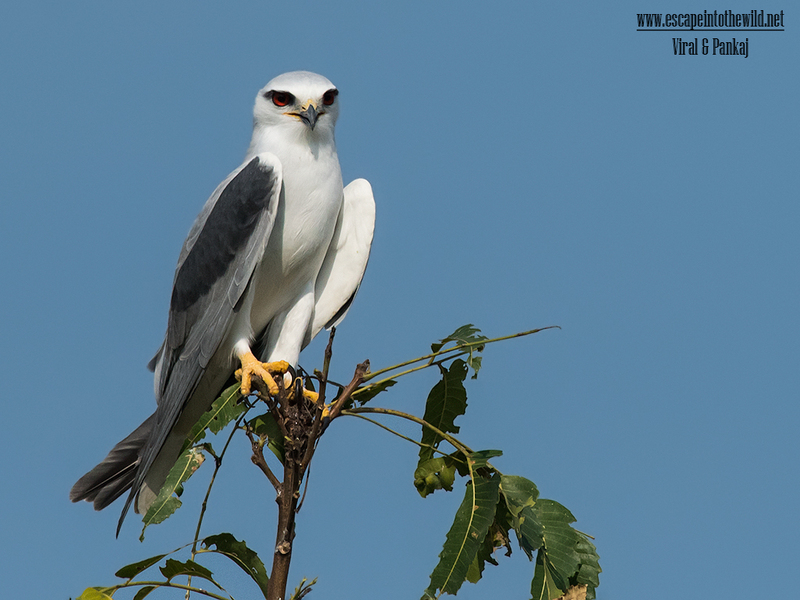 Black-winged Kite is seen very frequently in our area. It look like cotton so its Gujarati name is Kapashi. Most of time we saw it on perched on wire. While doing photography in our area, we loss the way and reach in farm. We saw this bird perched on tree. B4 we click more images it fly away. but we though it worth to share it with friend as few birds we saw on tree.